The last two decades have seen cities, islands and even countries very aggressively branding themselves in order to create a resonating identity among stakeholders and build sustainable customer relationships that last a lifetime. There are many benefits from branding of nations. Country branding refers to a process in which a country claims a distinct brand positioning in the minds of its citizens, international stakeholders and the global customer. To claim such a positioning, the country invests resources in coordinating and integrating a multitude of activities. The result of a successful country branding strategy is the unbreakable association of a country with a certain practice, identity or quality. Take for example Germany. The country is known across the world for precision engineering and high quality, so much so that German cars such as the BMW claims German engineering as one of its unique selling points. To achieve this global brand positioning, Germany ensured that it trained the best engineers and invested in developing the required research and development facilities and cutting edge technological infrastructure. The government also facilitated regulatory assistance for Germany to emerge as the leader in precision engineering. As evident, claiming a distinct position is the result of an entire process whereby all the constituents of a country – the government, public and private corporations, the people, various institutions, investors and others – are aligned to achieve an all-encompassing goal. As such, branding a country is highly challenging. Why is country branding important for companies? The country from which a company (product/service/brand) originates has a profound effect on the company’s perceived quality and likability in the minds of consumers by lending credibility, respect and status to its products and services offered. This is the country of origin effect (COO). In many cases, the country image lends credibility to the brand image. Swiss watches, French wine, Danish designs, Thai hospitality, Italian fashion, the 100% pure New Zealand are some of the well known examples. Research has proven that COO has a very strong influence on customers’ willingness to purchase products and the price level they are willing to consider. The country of origin alone can be the reason for success or failure of a certain product sold at a certain price point, due to the associations they conjure in consumers’ minds. The COO effect has been demonstrated in many cases across the world. Paris is a symbolic capital for beauty and elegance, and this has led to the flourishing of many French beauty and designer brands like L’Oreal, L’Occitane en Provence and Hermès. As Korea solidifies its position as the model for Asian beauty, Korean beauty company AmorePacific is realizing its vision to be the “Asian Beauty Creator” through providing total care through its beauty and health products. Japan has been recognized for its prowess in technology and electronics and has seen many the rise of many local brands on the global stage – Toyota, Canon and SONY. Even fast fashion company Uniqlo has succeeded through embedding innovation into its corporate strategy. On the other hand, the COO effect can also serve as a detriment to companies, especially when global perception of the country in which the company is operating in, is not a positive one. Over the past two decades, “Made in China” has often been seen as low-cost and low-quality due to issues that happen across time. Product safety issues including infant formula contamination with melamine, toxic pill capsules, and toys containing lead paint, as well as concerns over human rights and the US-China trade disputes have scarred the global consumer’s perception of China. This has been a major impediment for brand building success of many up-and-coming Chinese companies. In an increasingly fast-paced, digital and real-time world, companies and their leadership should always be ready to manage negative brand perceptions and brand failures. However, some companies have afforded themselves a breakthrough. Huawei is an example of a Chinese company which has painstakingly managed to overcome the challenges of its country of origin. With its commitment to R&D, innovation and customer experience, Huawei has worked hard in producing high quality products and has succeeded in overcoming negative or skeptical perceptions related to the Chinese country of origin. Therefore, country branding is important for companies in giving them a good foundation to build their success on. Why is country branding important for nations? 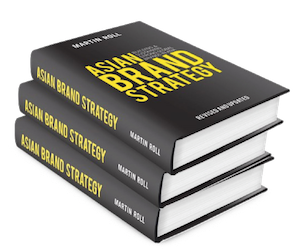 Many Asian countries have successfully managed to capture a very strong brand image, position and association in the minds of customers worldwide. Think of the following examples: Singapore: state of the art technology, Thailand: exotic beaches and cuisine, Malaysia: Truly Asia, and South Korea: Thriving cultural Hallyu movement, world class electronics and scenic beauty. None of these connections are automatic. These countries have invested millions of dollars in building such a brand image and then have ensured that the brand identity is consistently communicated to all possible stakeholders through all possible touch points worldwide. The above-mentioned Asian countries have also managed to reap substantial economic and social value from its investments in country branding. Singapore has managed to progress at a rapid pace economically, from a third-world country to a first-world trading port in a span of less than 50 years due to the positive COO effect of Singapore as a leading global financial and economic hub. Today, over 70% of its exports are service related with 13.3% of GDP contributed by the financial sector. Similarly, the Travel & Tourism sector has contributed to 9.4% of Thailand’s GDP as the country is well-known for its amazing hospitality, and vacation destinations and experiences. Country branding trajectories are closely tied to a country’s economic situation, regulatory frameworks, dominant cultural roots and customer mindsets. It is therefore strategically important and should be on any government’s agenda in striving for its country’s progress. Export branding: This refers to encouraging the export of certain goods associated with a nation through trade regulations and policies. One of the best ways that global consumers can experience a country is through using and consuming its products and services. Korea has done a stellar job at exporting Korean beauty products, Korean music, drama and movies, which has resulted in the consumption and celebration of Korean culture in almost every continent across the world. Singapore has managed to successfully export the Singapore Airlines experience with the iconic Singapore Girl. It is without doubt that the Singapore Girl has contributed more to the service-oriented, efficient, clean and caring image of Singapore than its political stability, infrastructure, workforce and extensive network of Free Trade Agreements. Swedish furniture & home accessories company IKEA is contributing to building a creative, organized and stylish image of Sweden through the company’s attractive and reasonably priced furniture. Create an overall positive brand image: The fundamental step for countries is to create a very positive brand image. This not only ensures that tourists, customers, investors and corporations are attracted, but also projects a positive facet of the brand to prospective stakeholders around the world. This can be achieved through a phased system of creating basic awareness, creating excitement about the many facets of the country and then offering these many stakeholders a memorable and enriching brand experience. It can also mean implementing policies to manage social issues or corporate practices that may hurt the brand image of the country. For example, South Africa is a country with a lot of potential for building a positive South African brand image by managing social concerns such as health, education, poverty. Establish brand associations through a common identity: Some of the best country brands – Germany, New Zealand, and Switzerland – were not created in a vacuum. All these countries created an intricate network of alliances with their cities, their unique cultures, their people, cuisines and places, and their unique national heritage, history and values. Such a common identity can only be achieved through consistent communication strategies, comprehensive tourism packages and showcasing of the country to tourists and business travelers who visit the country. Offer credible tangible product features: Once a country is successful in creating positive brand image and associations, it will have to back them up with strong tangible product features. In this case, such features could be a well implemented public safety program, a world class infrastructure including a first-class airport, a robust regulatory environment that would protect intellectual properties etc. Such tangible measures would allow a country to create a consistent and resonating brand identity with multiple stakeholders. Manage the holistic brand experience: The government, public and private corporations, many other service providers, and the general population of the country together should take consistent steps to ensure that tourists, businesses and investors are offered enough opportunities to enjoy, grow and prosper. Every interaction that these stakeholders have with the outside world should be monitored to gain valuable feedback. An integral part of managing experiences is to constantly evolve to ensure that the customers are constantly excited by and enjoy the country brand experience. Internal nation branding: For a nation to boost its brand equity, it is important to ensure it stays attractive to foreign investment, through efforts like building a talented and productive workforce. Skillsfuture, a national movement by the Singapore Ministry of Manpower to encourage Singaporeans to take ownership of their skills development and lifelong learning, is a good example of an initiative to ensure that people’s talents and skill-sets stay relevant in the workplace. This is especially so for natural resource-scarce countries like Singapore, of which human talent will be the key to success. In Indonesia, the Ministry of Industry has a plan to build eight polytechnics by 2019 to provide qualifications to workers in its burgeoning fields of rubber, steel and palm oil. President Joko Widodo has also embarked on a series of educational reforms designed to meet the workforce needs of a contemporary Indonesia. For any country keen to build a strong country brand, it is important for its workforce stays competitive. There is no denying the fact that branding countries has become a strategic issue for most countries. Gone are the days when only global tourist locations invested in building brands. But given the ever changing global competitive landscape and the ever increasing choice set for investors, customers and tourists, creating a resonating identity and offering excellent opportunities become a matter of survival for countries, especially for developing countries that strives to carve out a strategic position in the competitive landscape. Culture is the cumulative concept that encompasses knowledge, belief, customs, practices and any other habits acquired by people as members of society. A culture operates primarily by setting loose boundaries for individual behavior. Culture, in effect, provides the framework within which individuals and households function. A major consequence of culture is its impact on consumption patterns of individuals and institutions. Depending on the underlying cultural philosophy, consumers tend to follow certain consumption patterns. Successful brands have been able to adopt their branding strategies in line with this dominant cultural philosophy and weave their brands into the cultural fiber. With the strategic and economic implications discussed above, it is important for countries to think about some concrete steps they can take and sustain in order to build a strong country brand globally.